How deep I find your thoughts, O God! to count them all, my lifespan would need to be like yours. Many people (especially those who opposed Jeremiah and Jesus) had a different opinion. Both men had to contend with violence and threats thereof because of their faithful witness to God. One died in exile; the other endured crucifixion, died, rose again, and returned to Heaven. Their messages have endured, fortunately. I have thought deeply about why so many people resort to violence in opposition to nonviolent adversaries. 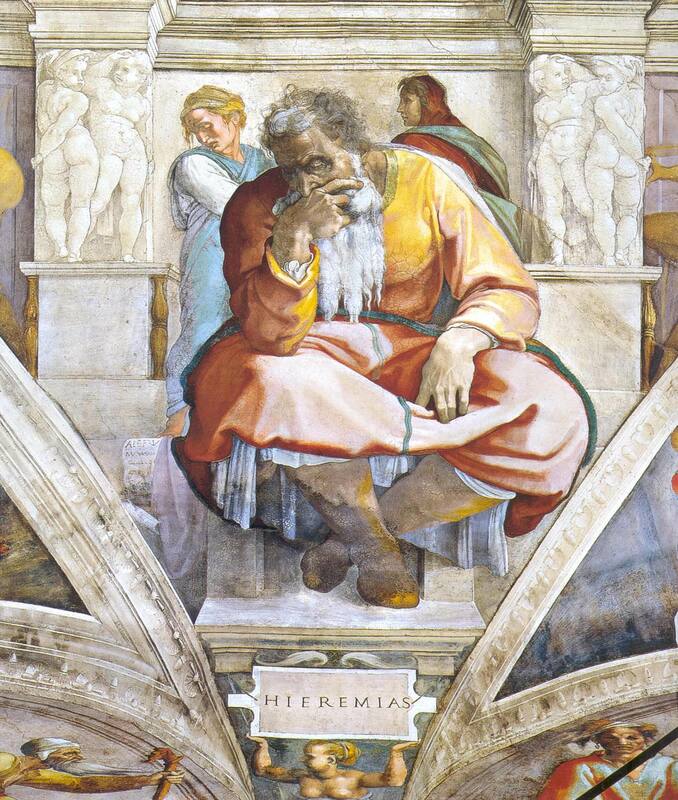 Jeremiah, who lived in a theocratic puppet state of a foreign power, challenged the legitimate authorities of his realm. He called them what they were. Those authorities were politically legitimate, but they were proving ruinous to the kingdom, such as it was. Jesus challenged a theocratic Temple system which exploited the poor, collaborated with the Roman Empire, and peddled a piety dependent upon prosperity. He, by words, deeds, and mere existence, made clear that the Temple system was wrong. In both cases authority figures depended upon their privileges. To the extent that they excused their violence as righteous they belied their claims of righteousness. President Abraham Lincoln cautioned against claiming that God was on one’s side. A good question, he said, is whether one is on God’s side. Determining the definition of God’s side is often easier after the fact than in the moment, however. Many professing American Christians with orthodox Christology defended chattel slavery by quoting the Bible in the 1800s. At the time many others quoted the same sacred anthology to make the opposite argument. I know which group was on God’s side. However, I also have the benefit of 150 years of hindsight since the end of the Civil War. Arguments in which impassioned people who differ strongly with each other and invoke God continue. Not all sides can be correct, of course. May the invocation of God to justify bigotry cease. May the use of allegedly sacred violence follow suit. Such violence flows from heated rhetoric, which flows from hostile thoughts. Peace (or at least a decrease of violence) begins between one’s ears.